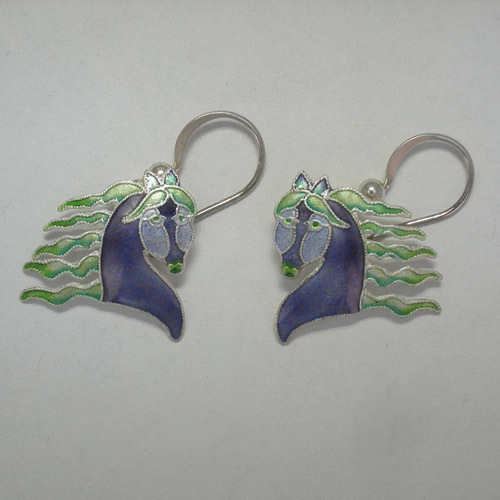 Desc: Sterling Silver enamel Fanciful Horse head earrings. The Sterling Silver earrings dangle from French wires. 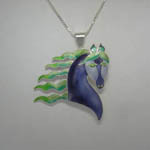 Each horse head has head arched and the mane is flying out behind. The earrings have vibrant purple* and green enamel. The earrings have a bright polish finish. *The purple may appear violet or blue on some computers. We have a matching necklace, see SK934.